Okay, here it is. Time to talk about Israel and Lebanon. I’ve been biding my time because things just ain’t right. In this war, things that appear one way on the surface, have an entire different look when appraised more deeply or from another angle. This article provides the sequence of events as we know it, or, more precisely, as the Western media as transmitted it to us. Note that, according to this version, the story begins on June 25, when “militants” tunnelled from the Gaza Strip into Israel and captured an Israeli soldier. From this telling, it is reasonable to see how Israel would be in its rights to respond with overwhelming force. After all, if a “foreign power” (to the extent that Hamas is foreign to Israel, given Palestine’s problematic status) were to abduct a Canadian, I would hope that the Canadian government would respond with all its might. But the story is not so simple. This version of events traces the conflict back to January of 2005, with George Bush announcing that the promotion of democracy would be his government’s focal point for the promotion of peace around the world. (A naive position, but let’s talk about that some other time.) According to this chronology, a number of events, petty on both sides, preceded the capture of the Israeli soldier. It’s apparent that, viewed through this lens, the capture can be seen as a response to Israeli actions. Did Israel want to show the Arab world that they’re big and tough? Fine, they did that. Everyone knows that they’re the 5th biggest military in the world and that their big brother, America, won’t let much harm come to them. Point demonstrated. Why then the need to indiscriminately murder almost a hundred innocent Lebanese civilians? This consititutes “collective punishment” and is in direct contravention of the Geneva Conventions, officially making Prime Minister Ohmert a war criminal. One can argue that I am holding Israel to a higher standard than Hezbollah and Hamas, and maybe I am (though I don’t think so). So what? The latter two are the supposed to be the bad terrorist guys, right? The Western-style democracy is supposed to be the humane one who can responsibly use power and abide by international law. Militarily, I think the Israeli plan is a simple one: push on to Damascus. This is not about disarming Hezbollah –which really was never a great threat to Israel, and really cannot be flushed out of Lebanese society. This is about preparing for a conflict with Syria, or at least flexing muscles in that direction, for a variety of rational and irrational reasons. 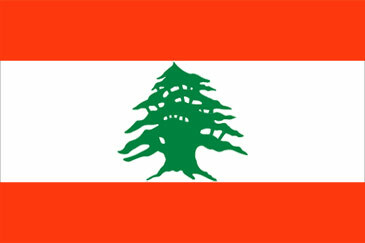 The tragedy, of course, is that hundreds or thousands may die in the process; and certainly one of the region’s great poetic nations, Lebanon, is being bombed back to the Stone Age.